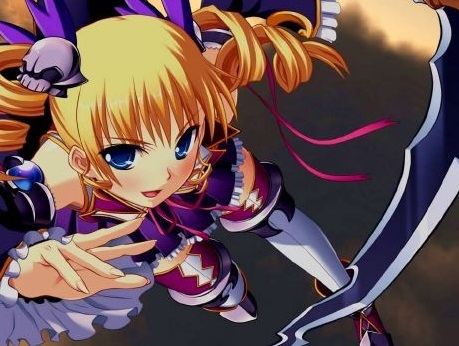 Home > PlayStation 4 > Koihime Enbu is coming to PlayStation 4 in English! Koihime Enbu is coming to PlayStation 4 in English! An all-women anime fighter, based on the popular Three Kingdoms historical narrative of China, Koihime Enbu is basically everything I like in my 2D fighters; fanservice, slick, fast action, and gorgeous animation and art. Sadly, while there was a port of the original Koihime Enbu released on PlayStation 4, it was never localised into English. Instead, fans needed to either play in Japanese (not such a big deal for a fighting game, but still a process to import), or play the PC version. And who likes to play fighting games on PC? ...Or battle friends locally and challenge the online rankings with matchmaking! There are no shortages of fighting games being released in 2018, but I heartily recommend keeping an eye out for this one. You won't have to wait long - it releases on July 12 - and it's perhaps the cleanest and most enjoyable fighting game you've probably not heard about.